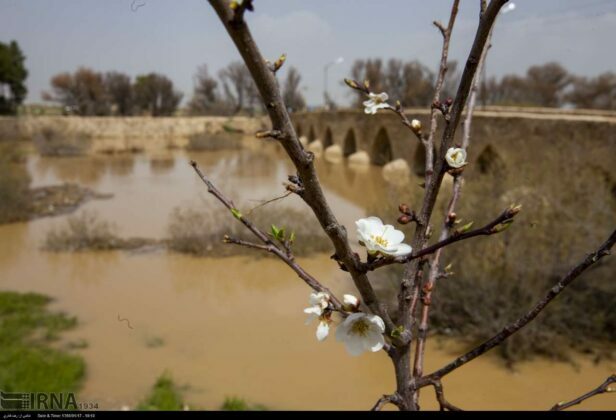 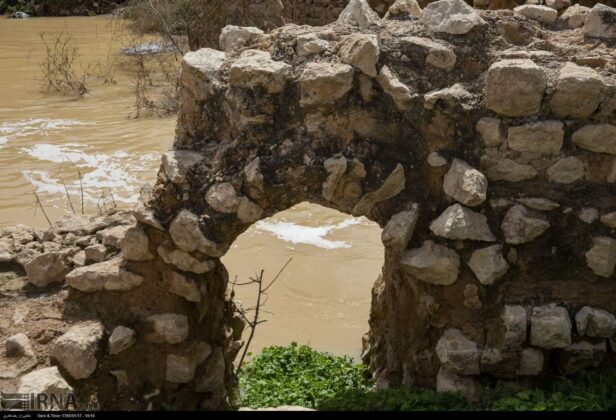 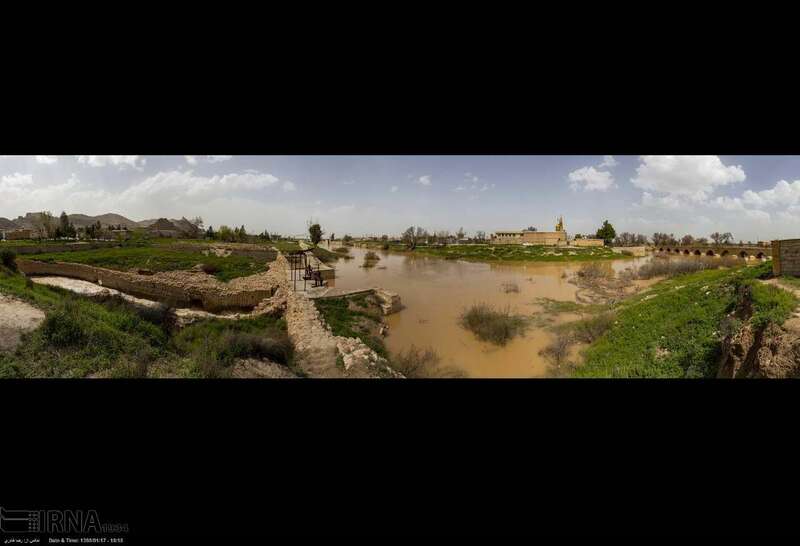 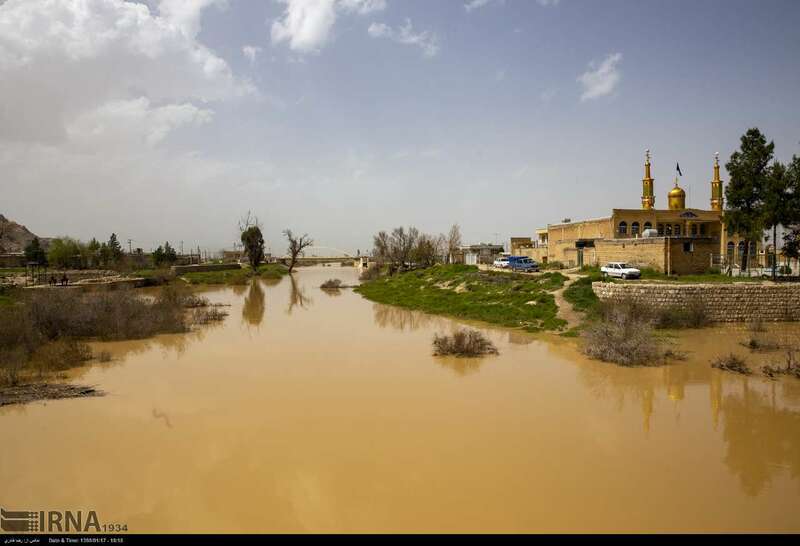 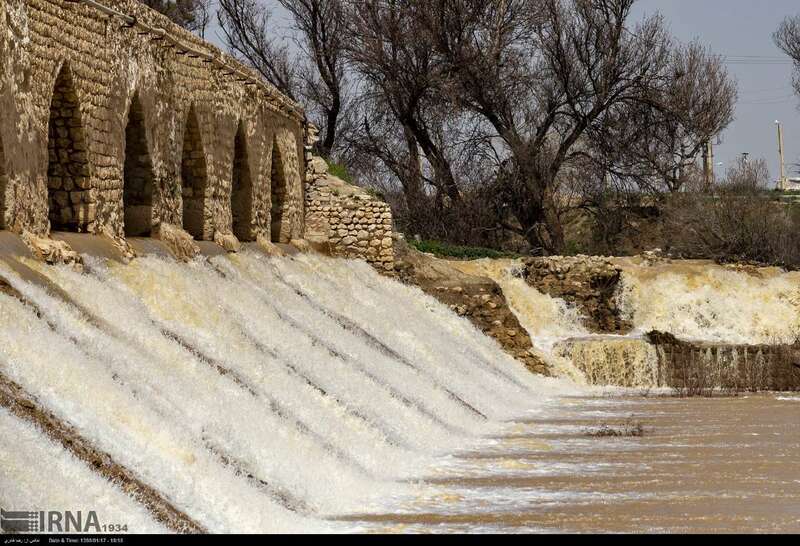 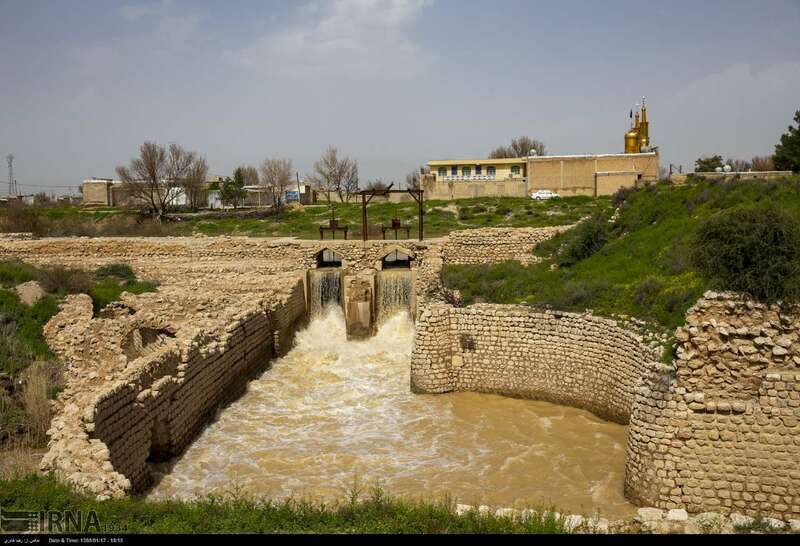 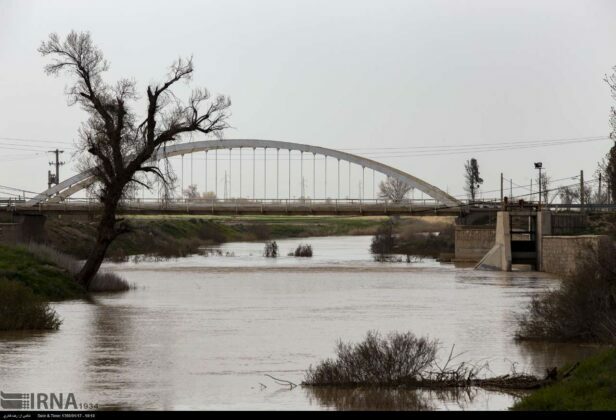 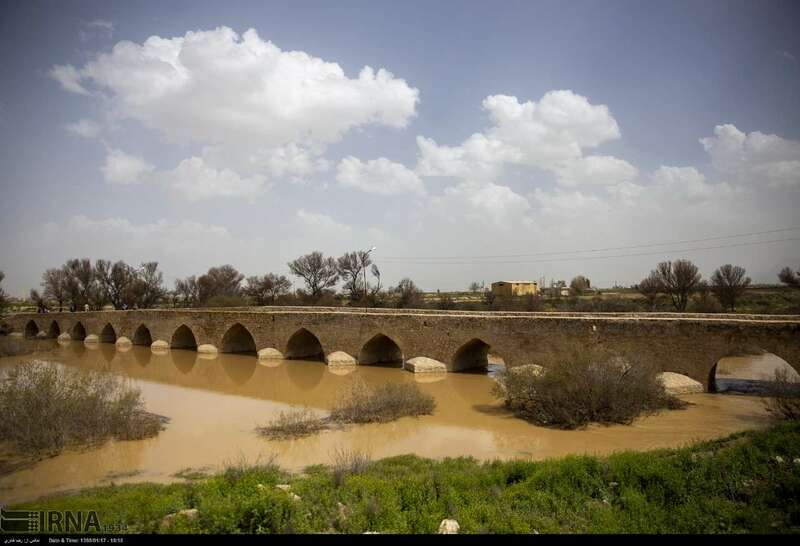 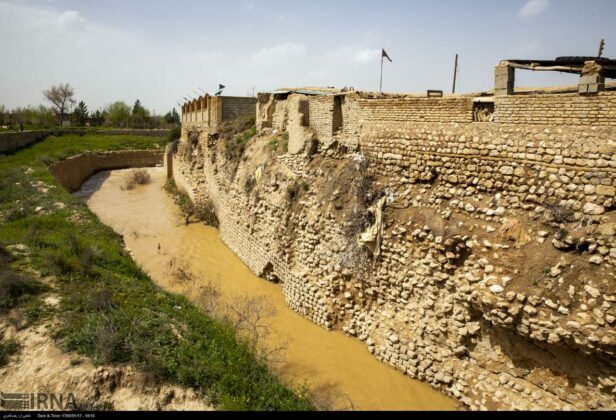 Following the heavy rains across Iran during the past few weeks, water has started flowing again beneath the historical Barrage of Amir or Band-e-Amir, located in Marvdasht near the ruins of Persepolis in Fars province, after many years of drought. 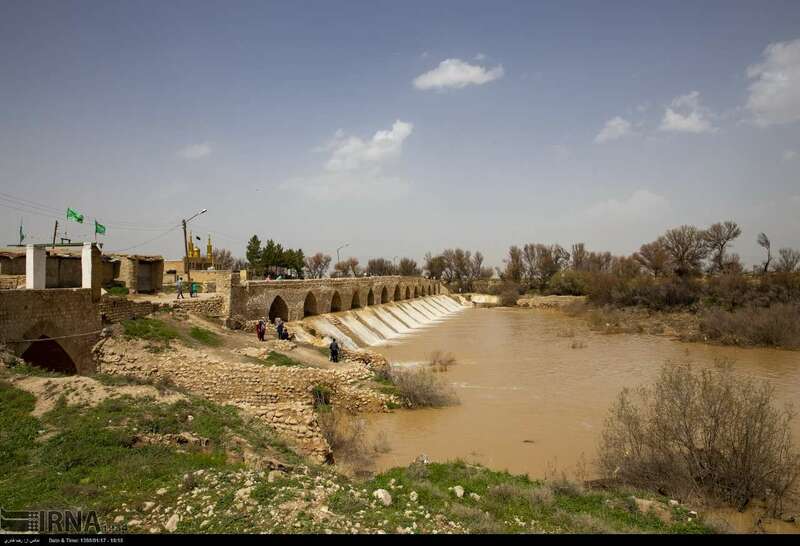 Amir Barrage was built in the time of Adud al-Dawla of Buyid dynasty who ruled Iran from 949 to 983 AD. 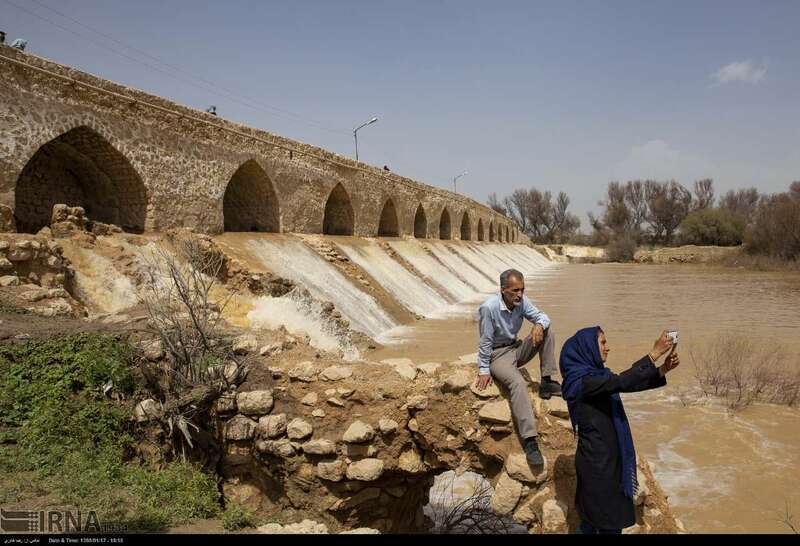 The barrage is located at the end of Marvdasht Plain, 10 km south-east of Marvdasht County. 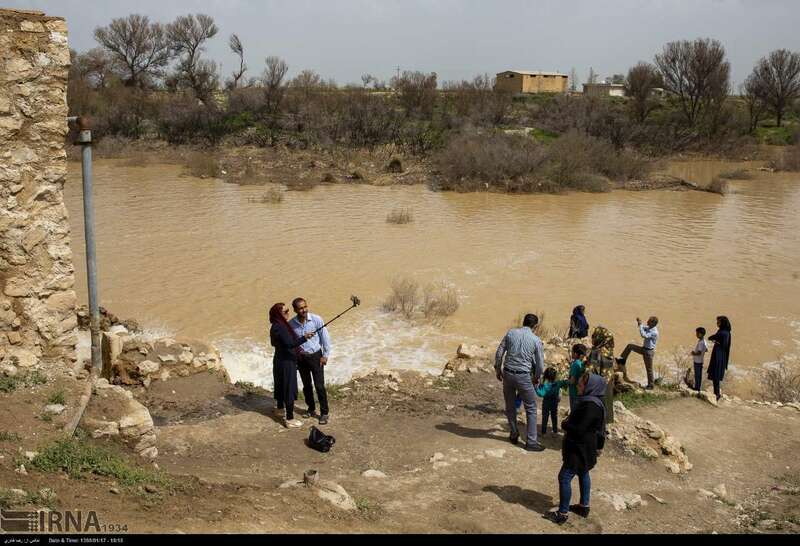 With downpours during this year’s Nowruz, the Kor River’s flow increased after years of drought and people came to see water flowing under the Band-e-Amir.